Do you want to go shopping, but don’t want to walk through the rain or the cold weather of Dublin? 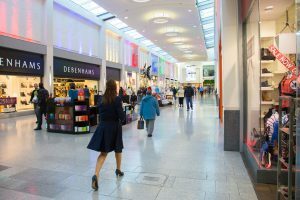 Well, a shopping center is the best choice for you then and Dublin has got plenty of them! 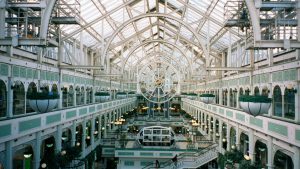 This list introduces you to some of the most famous shopping centers in Dublin where you can live out your inner shopaholic! The Jervis Shopping Center was opened in 1996, but was modernized in the last past years. It has 60 stores with a huge range from fashion to electronic goods and also a food mall on the upper level. Examples for shops you can find there are Topshop, Diesel and Argos. They also have a supermarket, but the best thing about it is that they have their own Luas stop called “Jervis” on the red Luas line. The next shopping center right in the middle of the city center. Ilac was opened in 1981, but recently modernized for 60 Million €. You can find over 80 stores here with big brands like H&M or River Island. They also have various restaurants. This is a bit uncommon for a shopping center, but they also have a library and a little chapel in their basement. 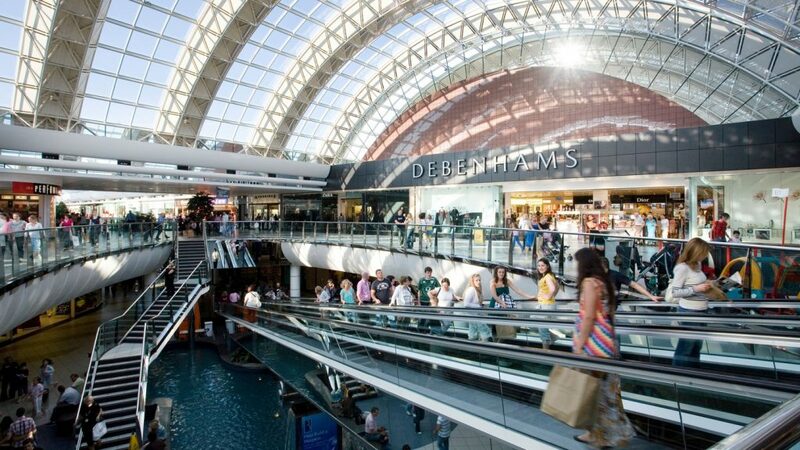 This shopping center opened in 1990 and is one of the biggest in Ireland. They have 160 shop in total and you can really find everything there from fashion to electronic goods and from sport shops to restaurants. The Square also has a cinema in their complex and the Luas station “Tallaght” is right next to it. It’s the last station on the red Luas line. Opened in 1988, the shopping center has over 100 stores to offer and a very central location next to St. Stephen´s Green. You can find shops like TK Maxx, Intersport or Boots here and they also have a big food court upstairs. Moreover, you can admire the beautiful roof construction with the giant clock in the middle of it. 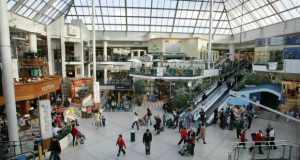 The biggest shopping center in Ireland opened in 1996 and was extended throughout the years. It has over 180 stores, 25 restaurants and 3 retail parks around it, a real paradise for a packed day of shopping. If you don’t find something here, you probably don’t find it in the rest of Ireland. They also have an Odeon Cinema in their complex and a Leisureplex with a Bowling Alley, Arcade Games and Pool or Snooker. You can find big stores like Marks&Spencer, H&M, Topshop, Zara or Pennys there. The shopping center is so special, because it’s inside the house of Richard Wingfield 3rd Viscount Powerscourt who lived there almost 200 years ago in this beautiful Georgian house. It´s a speciality shopping center with over 40 stores and restaurants. You can find Antiques, Fashion and beauty goods there as well as some tasty food. Mostly the stores are from independent companies or good quality brands. The George´s Street Arcade is the oldest shopping centre in Ireland and even in Europe. It was established in 1882 and nowadays it has 43 shops and restaurants. You can find some independent boutique shops plus clothing, jewellery and souvenir stores. 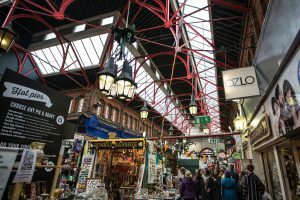 The location looks like an old Victorian Market and has it´s flair too. 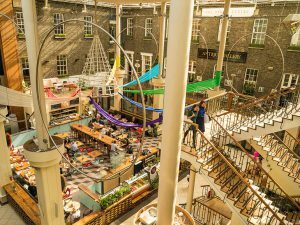 I hope this post will be helpful for your shopping trip in Dublin! !